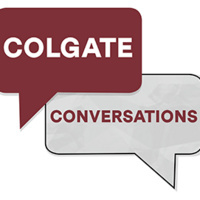 Colgate Conversations: "Where are you from? Being International at Colgate"
This brown bag is for individuals hoping to learn how to be more supportive to international folks on campus. We will highlight some of the blind spots related to international people and their experiences, enable attendees to examine their assumptions about places outside the US, and provide strategies to combat American exceptionalism and insularity.